Day 238/365 also known as Saturday, March 13 2010. Had brunch and went shopping with some friends who used be at work. Did some washing and some cleaning. 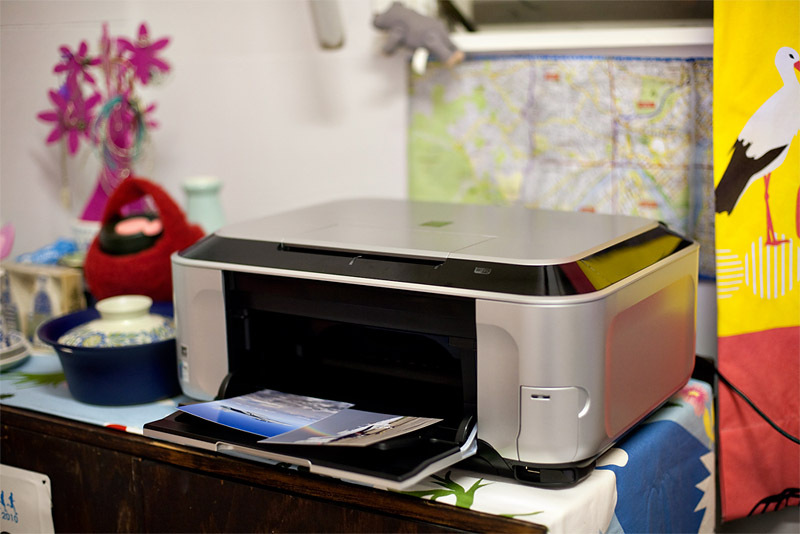 Most importantly I bought a new printer/scanner. Quite happy indeed. 😀 It’s a Canon Pixma MP990 picked it up for $348 from Officeworks. I spent a fair bit of the afternoon scanning paperwork. My expandable file of important paperwork is now about half the size it used to be, still a way to go but happy with progress. Working on a meal plan for this week at the moment and then I will have to do some grocery shopping. Going to have dinner with the family tonight and picking up my stash of photo paper. For a silver box, it sure is pretty! 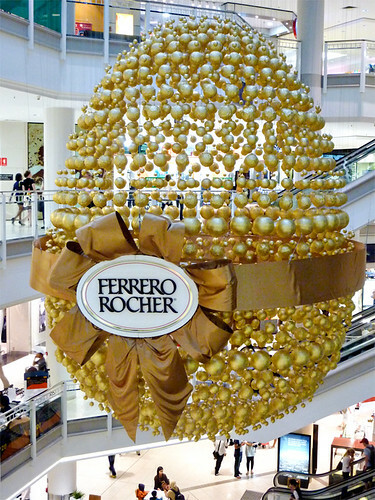 A very lovely hanging Ferrero Rocher Easter egg in the Myer Centre that is about 3 stories high. At Christmas they hang a very nice Ferrero Rocher Christmas tree in this space. But it does use up space.